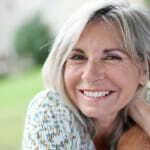 If you are looking forward to or considering facelift surgery, Drs. Samuel Pearl and Alexander Ereso of Pearl-Ereso Plastic Surgery Center want your recovery to go as smoothly as possible. We recommend preparing your recovery space ahead of time with essentials so that after you get home from surgery, you can focus on resting and recovering. Here are 10 things to have on-hand as you recover from a facelift. Zip-Up Shirts or Hoodies. Make sure you have plenty of clean clothes for your recovery; the last thing you will want to do as you recover is laundry. Wash some shirts or hoodies ahead of time. Pick options that are loose and zip or button in front so you don’t have to put them over your head. Nutritious Snacks. After surgery, you will want to slowly ease back into eating soft, easy-to-digest foods. Think of comfort foods like soup, plain crackers, toast and Jell-O. Avoid salty foods, which can increase post-operative swelling. Prescription Medications. Fill all of your prescriptions ahead of time so you don’t have to make any last-minute trips to the drug store. Keep your instructions for taking the medication in clear view and set a cell phone alarm to remind you to take the medications so you don’t miss a dose. Water and Gatorade. It is crucial to hydrate yourself after surgery. Drink non-carbonated, non-caffeinated beverages like water and Gatorade as you recover. Aim for at least eight ounces every two hours. Avoid alcoholic beverages until the doctor clears you. Flexible Straws. Bendy straws make it easy to sip your beverages. Many of our plastic surgery patients tell us these are a must-have during recovery. Colgate Wisps. Colgate Wisps are a great way to brush your teeth and freshen your breath without getting off the couch or out of bed. Light Entertainment. Queue up some entertainment for the days you will be spending in bed or on the couch. Pick light and fun movies and television shows, or an easy-to-read book (avoid dramas — you want to keep your mood positive!). Probiotics or Laxatives. Thanks to the anesthesia and pain meds, constipation is common after surgery. Milk of Magnesia is helpful to gently get things going. Big Pillows. You need to keep your head elevated after facelift, even while sleeping. Propping yourself up on big pillows makes it more comfortable to rest and sleep in an upright position. Your Doctor’s Phone Number. Post the number of our office — (650) 964-6600 —on the fridge or program it into your phone so it is easily accessible. Don’t hesitate to call us if you experience a troubling side effect or have a general question during your recovery. For more facelift recovery tips, please contact Pearl-Ereso Plastic Surgery Center today by calling (650) 964-6600.